Altay (Altai) mountains is a large system of ridges situated at the junction of Russia, Kazakhstan, Mongolia and China (see some short general facts at external links , ). Although the karst of Russian Altay has being investigated during last 100 years, the active exploration was done mostly on the northern edge of the mountains where ridges are low (~1000 m above the sea level), valleys populated and roads exist. A number of significant caves was found in the close vicinity of the M-52 route ("Chuysky trakt"), the main route, that crosses Altay from north to south, and goes to Mongolia. The list of the largest known Altay caves can be seen here. That said, the geological evidence suggests that the ridges of inner Altay also have the limestone and developed karst landscapes. Although the highest southern ridges  Katunsky (Belukha mnt 4506 m), Severo-Chuysky (4173 m), Juzhno-Chuysky (3936 m), Sajlugem (4374 m)  do not contain carbonate rock, the ridges of central part, which are significantly lower but still rather high (up to 2500 m) are often crossed by stripes of ancient limestones and marbles. One of the largest limestone massifs is situated in the riverheads of Katun river right tributaries (Sumulta, Kadrin, Ailagush). See fig.1. Fig.1 Russian Altay. 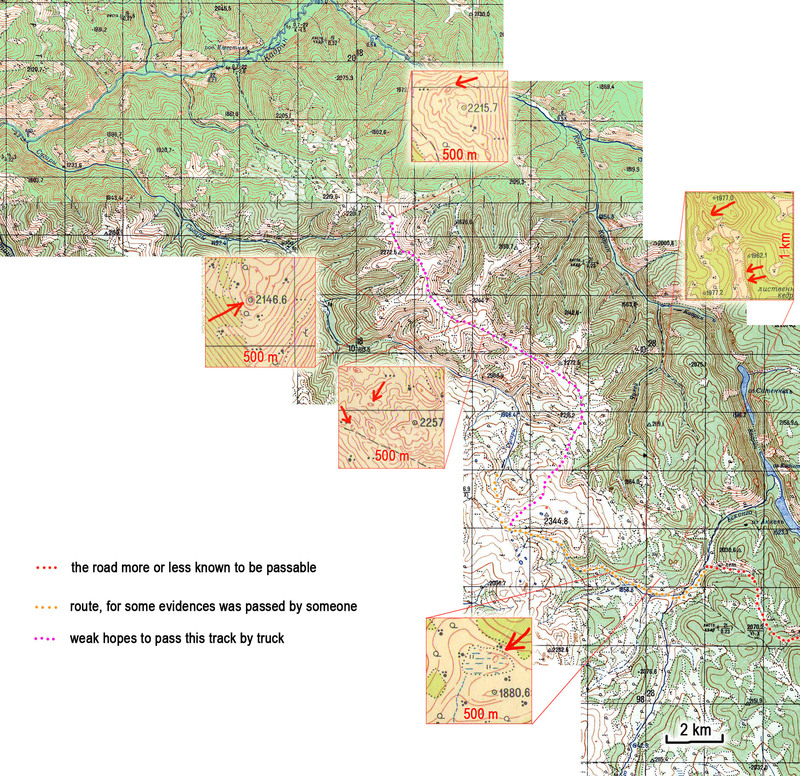 The main object of interest  limestones at the riverheads of Kadrin and Sumulta  is hardly available without airforces. 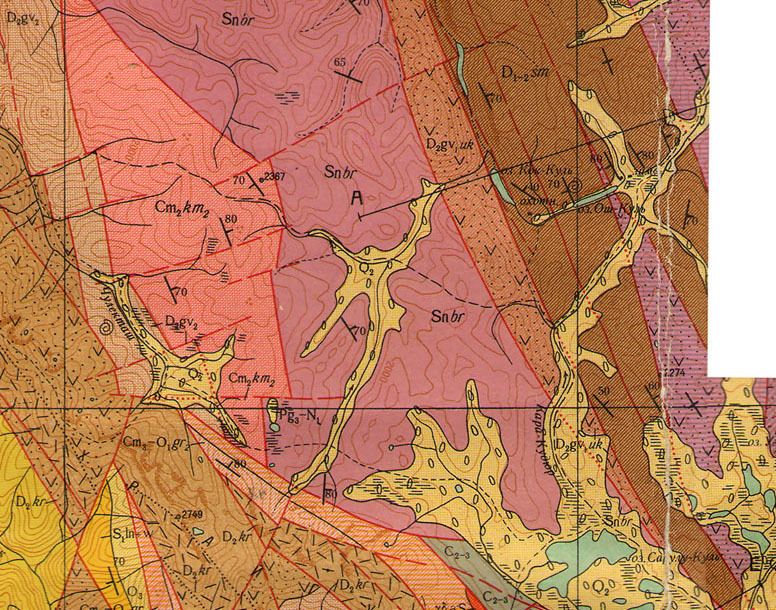 At the geological map of 1:200000 scale the massif is marked as Snbr (see fig.2) that means Sinian system, Baratal sunk and corresponds to 650 millions years age. 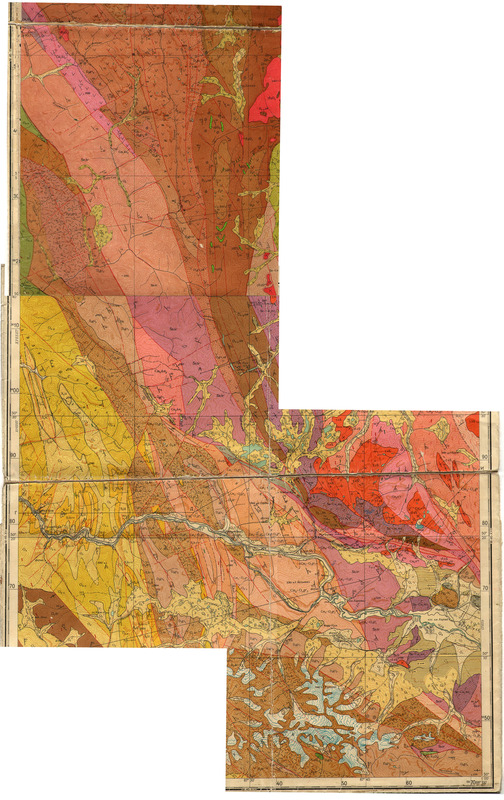 Fig.2 Geological map with discussed limestones marked. Larger picture available by click (3.7Mb). The only group that worked on the Kadrin-Sumulta massif was lead by G.Maksimov. 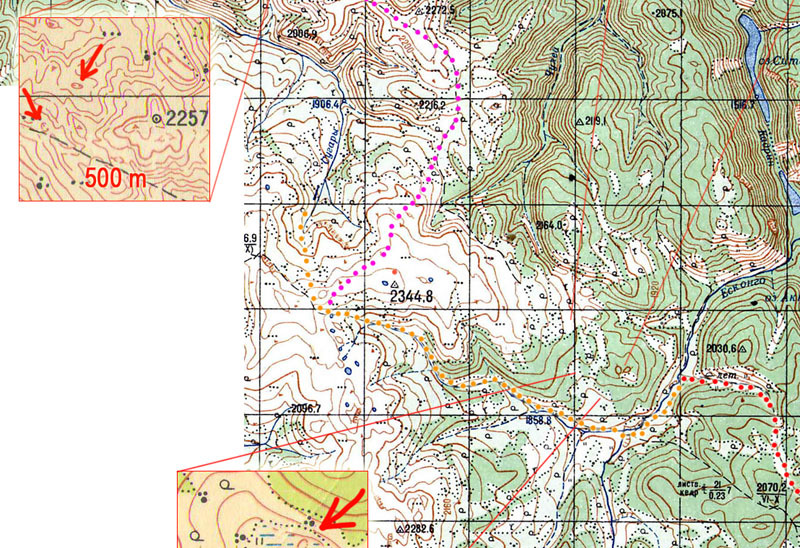 The team twice (1990, 1991) reached the plateau on the right edge of Kadrin valley by helicopter and attempted to dig out the cave entrances to get the access to the hypothetical plateau drainage system (see "Karst and caves of central part of Altay", Maksimov G.M., 1993 and "My Altaian cave search activity", Maksimov G.M., 2008, in Russian only). At the end of one of these expeditions the team had to hike out for a week along the massif from Kadrin valley to the M-52 road. (Second time the team made a hike along the Kadrin river to find that it also takes several days.) Their route can be seen in fig.3. Fig.3 The track of Maksimov's exploring expedition. Larger picture available by click (1.2Mb). 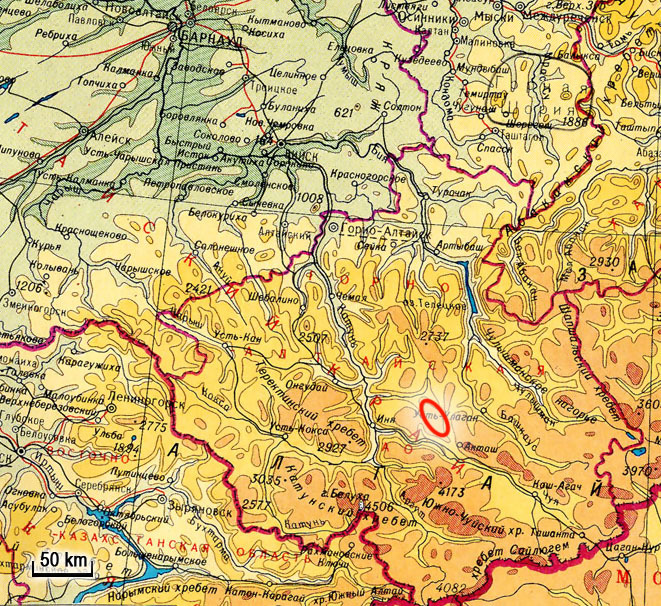 Although Maksimov’s team did not find any large caves in this region (the largest barely exceed 50 m in length), the author writes: "The number of karst sinkholes is huge" while the height difference between sinkholes and erosion basis (Kadrin valley), i.e. cave's depth potential is up to 1 km. Thus our main goal is the search of the deep caves on the ridge between riverheads of Kadrin and Sugary (hereafter the Ridge). The main difficulty of the massif investigation is transportation to it. The only regular road is M-52. The offroad truck probably can drive cavers to the valley of the Eskongo river (see fig.4). Fig.4 Realistic and optimistic routs to the ride by offroad truck. 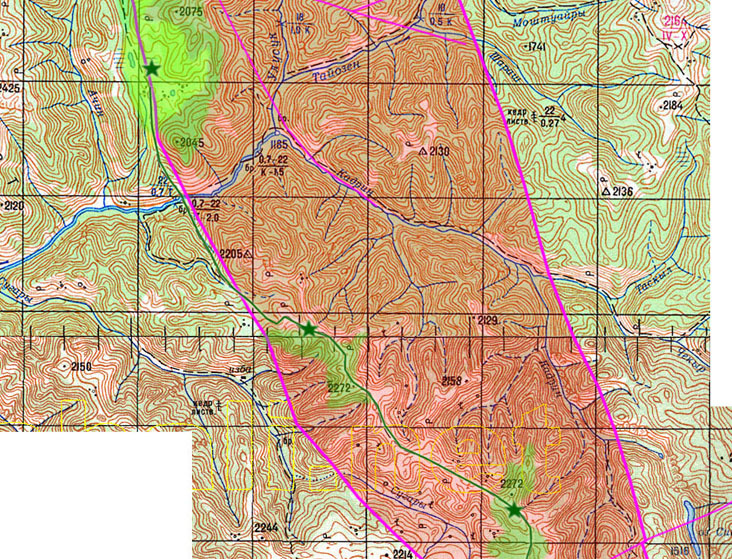 Also several large scale sinkholes are visible on the map of the Ridge. One can see, that largest sinkholes are concentrated in the southern part, sadly enough the area where depth potential does not exceed 300-500 m. Large picture available by click (1.3Mb). According to unconfirmed information the Sugary riverhead may be accesible by offroad military truck (GAZ-66 or equivalent). In this case there is hope that the whole Ridge is accessible by truck as it is expected to be dry alpine meadow (above the forest zone). Alternatively the trip from Eskongo to the northern edge of the Ridge with all equipment will take 3-4 days even for a strong team. According to G. Maksimov an additional problem is the absence of water and firewood on the Ridge. The general goal of current expedition is to start the exploration of the "new" region. That means get first hand information about the accessibility of the Ridge by truck, camping conditions and preliminary documentation of the distribution and density of potential cave entrances. Three scenarios can be forseen at this point: 1) Optimistic, 2) Realistic-tough, 3) Realistic-easy. According to Optimistic scenario the personel and gear would be transported to the northern edge of the Ridge by truck, the firewood problem would be solved by placing a base camp at the slope of the Ridge, in the forest zone and the deep doline with accumulated winter snow would be found and used as a source of water. In that case almost full expedition time can be devoted to the search of entrances and digging promissing sinkholes. Only 4 days would be needed for transportation (one day  from city to Aktash, 1 day for offroad trip). This option demands the largest transportation expenses. Very preliminary, the single run of truck from M-53 to the campsite will cost ~$500 (really nobody done this trip, the price can change dramatically). For comparison the helicopter run from Gorno-Altaysk is estimated at list as $5000. Realistic but hard option means ride to the Eskongo valley (1+0.5 day) followed by the hike to the northen edge of the Ridge on foot (+ 3-4 days), carryng all the gear. In this case 10 days of expedition time would be wasted for logistics, but the most depth-perspective region would be seen by our own eyes. 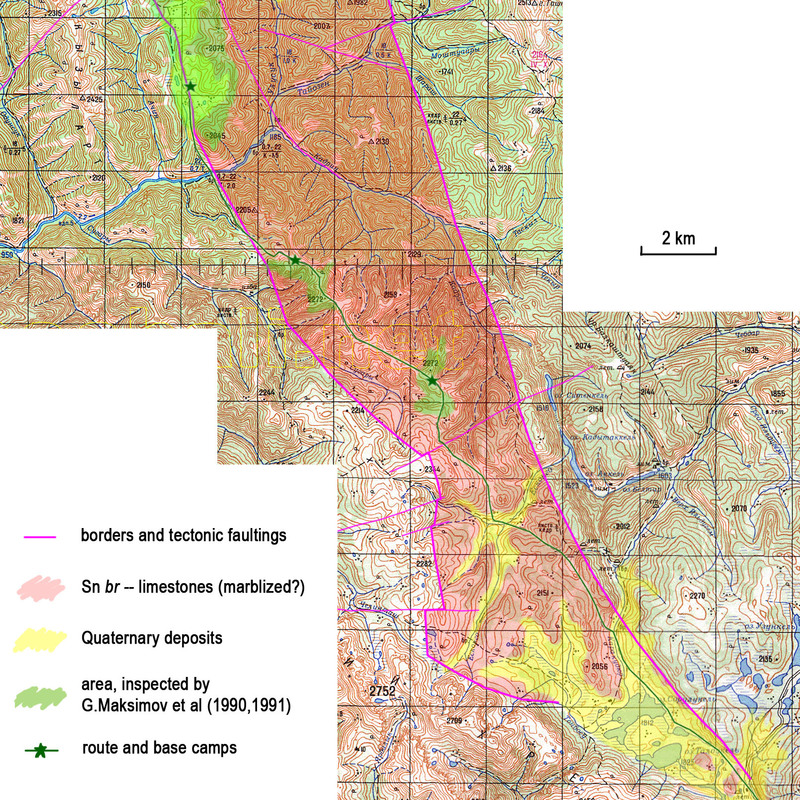 Realistic easy scenario includes transportation to Eskongo valley, placement of the base camp there and inspection of the karst features on the southern branch of the Ridge between Eskongo and Chuley valleys with low depth potential but with greater probability to penetrate underground (modern water absorbtion in large depressions contrary to dry small sinkholes on the top of the Ridge). The camp can be moved higher and closer to perspective objects as the proper place would be found. Small team (2 people) can make the long distance autonomos trip with minimum gear to the far edge of the Ridge. The proposed time of the Sumulta-2010 expedition is late July  early August, the duration around 15-20 days. Very preliminary, the dates are the following: 24.07-13.08.2010.